We could be here for a while as this is a touchy/important topic for me and probably many others. When I started writing my blog, I told you guys that I have had trouble with my skin since my teens and it was the thing that got me down the most. I've tried and tested everything you could imagine. But in this post I want to tell you the whole thing about how it started and how I battled through it and came out at the other end where I'm fighting it still to this day. Sorry if this bores you but I know there will be lads and lasses out there that have this problem so I would love to help. It started around year 10 when I would have been about 14? I think. This one week I grew this minefield of spots on my chin and only on my chin. I thought it was a rash or something but it turned out to just be spots and a lot of them. I went to school in hope nobody would notice and obviously it was school, everybody noticed! You've always got those loud mouthed lads that speak whatever they think and this one lad literally said "wtf ewwww your chin is minging what the hell is that?!". I went home and cried and stayed off school until the spots went which was about a week later. Stupid but I needed to do it or my confidence would be none existent. So anyway this is where it all started at it continued from there. Apart from it wasn't just my chin they conquered, it was my whole face. And my back, and my arms. It was horrible and there was nothing I could do. It was probably my hormones and it was around this time that I went on the contraception pill. I had a steady boyfriend at the time so it was something my mam wanted and my doctor said it would help with my skin. BUT HE WAS WRONG. It made me skin worse. So much worse. But I battled through because I thought I had to be on this pill up until I started getting bad heads every time I had my pill. So I stopped. I still had bad skin though so I tried acne creams lotions and potions. But I'm one of those people who have a spot I need to pop it. Minging as it sounds it's true. They say DO NOT POP YOUR PIMPLES. Who listens to that when you've got a bulging spot? I would rather have a red mark than a whitehead anyday. So thorought my teens this was my day in day out battle. Right up until before university when I was 19!!! I'd went to the doctors about my problem and they gave me spot tablets. I'm not saying what they're called but if you go to your doctor and state your worries and problems they can help with that. When I started taking them I loved life. Literally I was the happiest girl because my skin would gorgeous. It even cleared my back up and everything!!! And then in my second year at uni I went on a different contraception pill and I should have known it would do the same thing but I wanted to try. I tried it for about 3 maybe 4 months as it says your body needs time to adjust. Well my face did adjust, it adjusted to breaking out every single day!! So I came straight back off it. And then I had the task of getting my skin back to normal, and at this time I was still taking my spot tablets but by now I'd been taking them every day for a year so I think my body had got used to them so they weren't doing anything now. So I took a break from them and try to do things naturally. I googled natural skin remedies and how to get rid of acne like I think everyone does even though they don't know if they actually have acne. I found a recipe and tried it out. It was to mix a teaspoon full of Manuka Honey with a teaspoon full of lemon juice. Mix it up and using a makeup brush (blusher brush to be precise) I layered my face in this whilst I had a bath and at the end of the bath wash it off. I done this every night I went in the bath and I can honestly say it works! Manuka Honey is meant to be verrrrry good for you, not just for your skin but it helps with colds etc as it's antibacterial so kills any germs. The lemon juice is to get rid of spots and the honey is to heal your skin and heals spot scars. If you put lemon juice in your face by itself this also works and the other way around. My skin was finally making it's way to being normal again now. YIPEEEEE. But now I'm left with slight red marks when scarring. So when I seen this on JEREMY KYLE I was very intrigued. It was one of those shows on Jeremy Kyle where he's got plastic surgens on or something and they were showing the audience about Micro Demabrasion Roller. 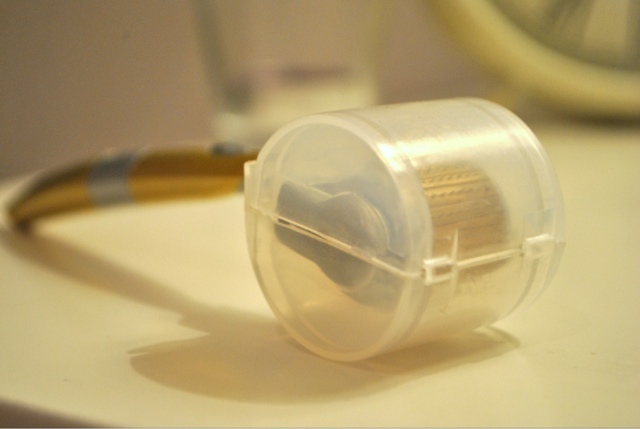 It was a little roller with lots of tiny needles and you roll it on your skin to repair your top layer of skin which repairs the scarring and redness. Obviously it was very abrasive as they were doing it professionally and they had numbing cream on so they couldn't feel it as I bet that would kill! 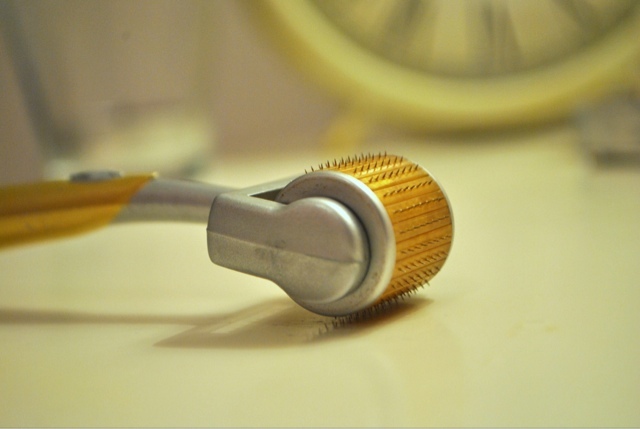 So obviously me being the crazy mofo that i am I went and googled this micro dermabrasion roller. I found that you could buy them on ebay but put it off for a while because i didn't like the thought of buying needle things off ebay. Eventually I'd bought one anyway and thought I'd give it a go. When it came I was a little bit scared to try it but I went ahead and done it every night for a week. All you do it apply as much pressure as you're comfortable with and roll it over your skin about 20 times over the same area. For example I'd run it down my cheek and roll it over this same line 20 times. Do this with the whole of your face. Obviously you need to wash it, so to make sure all the germs were washed away I poured boiled after over it into a cup and mixed it about to give it a good clean and simply rinsed it under the cold tap. It made my skin very dry if I didn't apply a night oil after I done it. 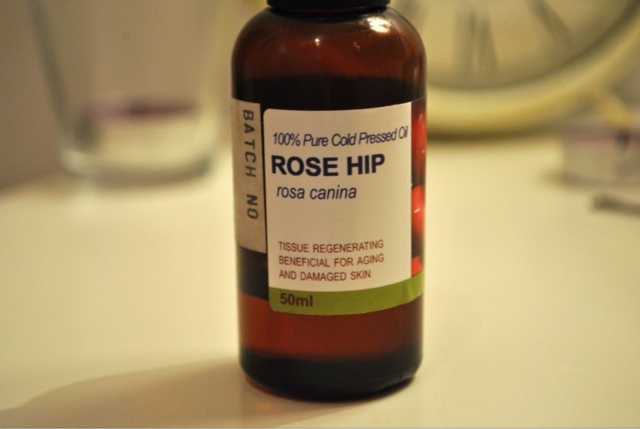 So I bought some Rose Hip oil off Amazon and applied this (one drop on some cotton wool) to my whole face. This is what helps it repair the skin and adds moisture to the skin. After a week I noticed a difference and my skin felt radiant. But I carried on doing it but just once a week until I was happy with my skin. After that I only done it when I had a couple of spots and it makes them disappear! And also gets rid of the scabbing and scarring. I literally love it! It is meant to help get rid of stretch marks and wrinkles too. I used to do it on my stretch marks that I get on my inner thighs and it's help fade those too! 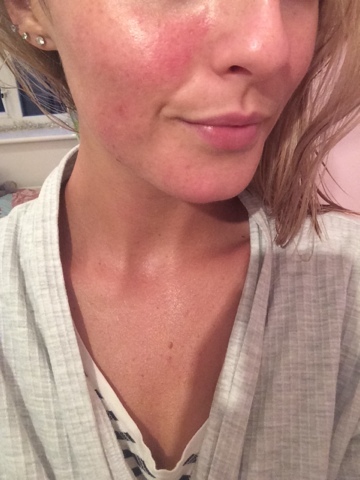 I'm in a happy skin zone and have been for the past year because of this little scary tool! 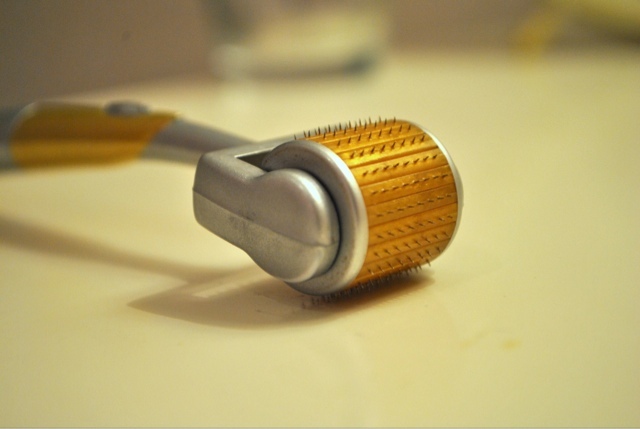 If you are going to buy this Micro Derma Roller then please wash it properly as you don't want to spread the germs onto your face and make the situation worse and don't go overboard with this as it does dry out the skin so use an oil after you've done it. I still get a few spots here and there and I've got a few red marks but they're off new blemishes. This is my skin off using the roller which is what makes it red and looks like you've got a sun tan. I can't believe I'm posting this image of my skin because it's something that I'm paranoid about but it's no use if I don't show you as you could think I'm being over dramatic about nothing. And I know it doesn't look that bad but this is my happy skin time. I don't have pictures from when I was going through my bad skin times. 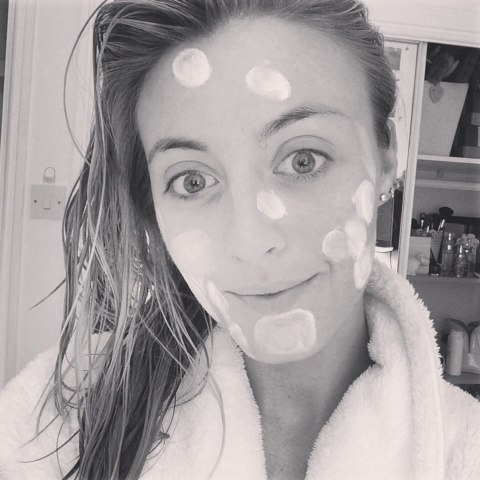 This image is me using Sudocrem when I'm having a bad skin week to reduce the redness as I feel like it work without drying out or adding moisture to the blemish. I just dab the cream into the blemish or red mark and leave it on over night and hopefully by the morning it should have dulled down! I really hope this helps and please comment if you've tried this or going to and if it works or doesn't work! Would live to hear your skin story!